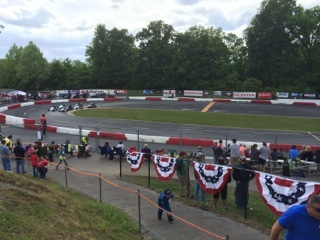 If you haven't already, bring your child to the track to attend one of our scheduled races. Feel free to walk around in the pits to chat with other families and encourage your child to interact with some of the other drivers. 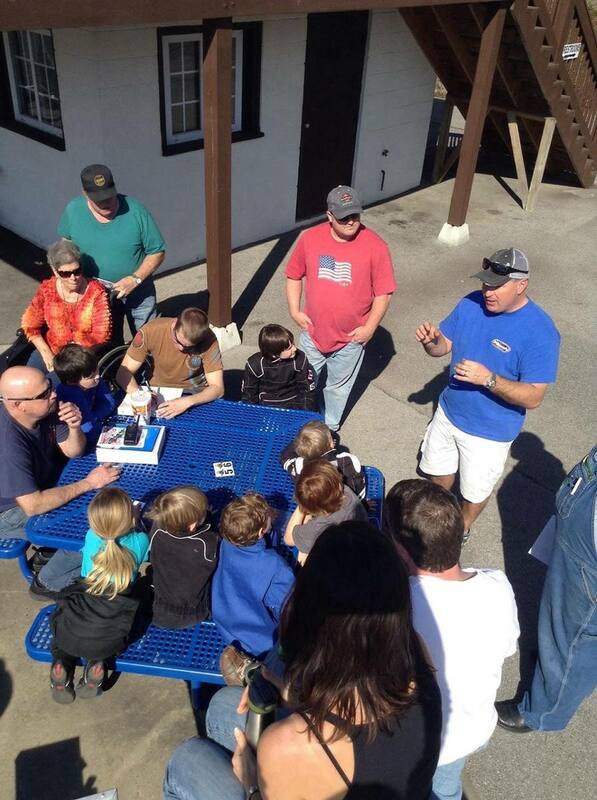 If you've already determined that racing is in their blood, schedule a time with our Rookie Trainer, Mark Oliver, so that your child can attend one of the Arrive & Drive events. Don't worry if you missed the date, we can usually come up with a date that works. 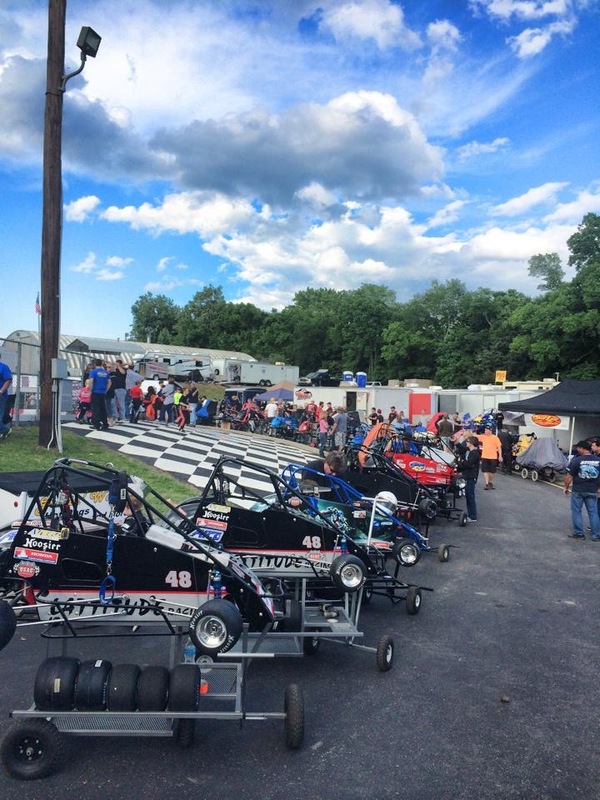 This is an opportunity for your child to get into a Quarter Midget race car. Any potential driver ages 5-16 can give it a try. The cost is $15 for 15 laps. MCQMRA will provide the car, driver suit, and all related safety equipment. All that we ask is that your child show up wearing long pants, socks, closed-toe shoes. At least one parent is required to attend, as there is a liability waiver that must be signed by the parent and child. PLEASE NOTE, the cars will only accommodate certain heights so there is a chance that your child might not fit. We will do our best to accommodate any child that wants to give it a try. Once your child is securely buckled in the car, he/she will be shown how to properly operate the car, specifically, the operation of the brake pedal and safety engine-kill switch. The throttle (gas pedal) is intentionally disconnected during the Arrive & Drive to keep the speed at a safe level for their first time out. A group of cones will be set up around the track to teach the driver the proper "line to be driven on the track once they do start as a Rookie. Assuming your future driver has been bitten by the racing bug, read on! You will need to own your own car. There are many options for purchasing your first car. You can purchase a new car from one of the many chassis builders or you can find a good used car. There are many great used cars located on the For Sale section of our website, or on the websites of our surrounding tracks. You can typically find suitable, used cars starting as low as $700, but more typically, you'll find used cars in the $2,000-$4,000 range that are absolutely perfect for a beginning racer. A completely new car setup can run over $7,000+. Both cars and safety equipment are required to race. Safety equipment includes such items as: Helmet, Driver Suit, Gloves, Arm Restraints, Neck Collar (or Neck Restraint Device, such as Hans or Simpson, NecksGen, etc), and a Raceiver w/ ear buds. The specific requirements for these items can be found in the Tech Info section of our website, or on the USAC website. Membership is required in both prior to beginning Rookie Training. USAC is the sanctioning body of the sport that governs all of our rules. Additionally, USAC provides the insurance coverage for our track. You must first join USAC before you can join MCQMRA. See the Section of our website for details on how to join each. Your child may begin training as a Rookie at age 4 ½ and practice on our track as often as they would like; however, cannot enter a race until age 5. Kids age 5 and up are eligible to race competitively. There are two levels of Rookies, red and blue. All kids must begin with Red. The colors (red and blue) correlate to the color of the restrictor plate that is installed on the engine to reduce the power to a safe level for a beginning driver. Once trained, your child will race as a Red Rookie to hone the skills they were taught in Rookie Training. Among these skills are such things as: (1) proper line-up procedures, (2) understanding of the flags, (3) proper passing ability, (4) pit entry/exit, and (5) track behavior. It will usually take several races for your driver to get the hang of everything. Once your driver has the understanding of those skills he/she is eligible to move up to Blue Rookie, at the discretion of the Rookie Committee (which includes the Rookie Trainer, Race Director, and a member of the Board). After Blue Rookie, your child will move into their first competitive class of racing, depending on their age and weight. Our Rookie Trainer, Mark Oliver, coordinates the training of your future driver with your schedule. The Rookie Training Program teaches your child all of the rules associated with racing. Understand also, that as the parent/car handler, you are also a Rookie. The training serves everyone, not just the driver.